Dental caries, which are also referred to as tooth decay or cavities, are one of the most widespread diseases today, but also among the most preventable conditions. When you eat certain foods, the bacteria on your teeth breaks them down and produces acids that have the ability to seriously damage the hard tissues of your tooth. The result is the formation of dental caries (cavities). Occlusal caries: which form on the top most part of the tooth where food particles repeatedly come in direct contact with the teeth. Interproximal caries: which are dental caries that form between the teeth. It’s in these two locations where bacteria fester and pose a risk to your oral hygiene. If the teeth and surrounding areas are not cared for properly, the bacteria will begin to digest the sugars left over from food in your mouth, converting sugars into acids as a waste product. These acids are strong enough to demineralize the enamel on your teeth and form tiny holes – the first stage of dental caries. As the enamel begins to break down, the tooth loses the ability to reinforce the calcium and phosphate structures of the teeth naturally through saliva properties and, in time, acid penetrates into the tooth and destroys it from the inside out. Fillings: Fillings are the most common form of treatment for the disease. 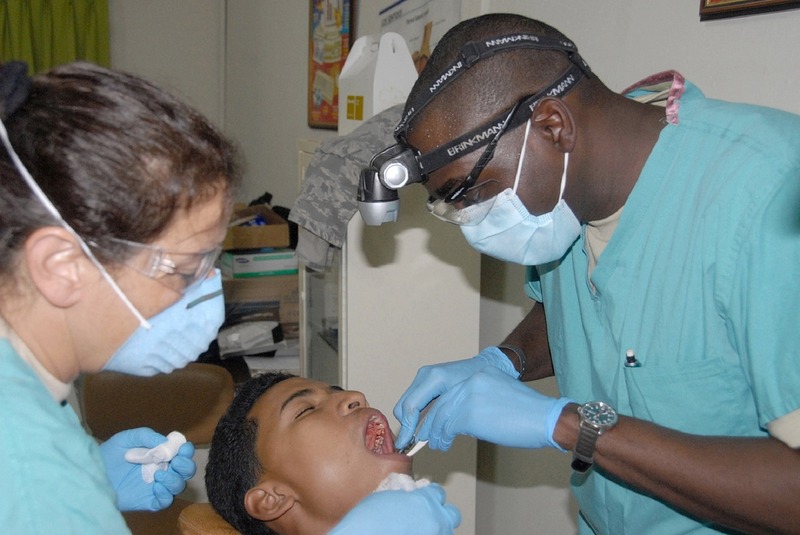 A dental professional drills into the affected area(s) of the teeth, removes the decayed material inside the prepared cavity, and packs this empty space with an appropriate dental filling material.There are different types of filling materials that can be used, depending on the area where caries has occurred. Composite resin, the most common filling material in the developed world, has a great pallet of color which dentists can use to repair caries damage to teeth that are visible when you smile. In the case of back teeth, some dentists prefer using other dental filling materials which are stronger. Crowns: Crowns are another option for dental professionals when treating dental caries, and are only used when a large proportion of the tooth is destroyed by disease. When tooth decay leads to the need for large fillings, the tooth becomes more prone to cracks and ultimately breaking. The dentist would attempt to salvage the remaining tooth, repair it, and finally fit the tooth with an alloy or porcelain crown covering. Root Canal: Another method of treatment, a dental professional may employ is called a root canal. As tooth decay progresses through the enamel and settles in the center of the tooth, it may even advance further and damage the nerves, which are in the root. A dental professional would remove the damaged or dead nerve with the surrounding blood vessel tissue (pulp) and fill the area. The procedure usually ends with the dentist placing a crown over the affected area. Despite the impact tooth decay can have on your teeth if left unattended, dental caries or cavities are largely preventable with a great oral hygiene regimen! This includes regular dental checkups in order to identify pre-existing conditions before they lead to more serious issues down the road. The earlier your dentist can spot the signs of poor oral hygiene, such as a buildup of plaque, the better your chances at preventing dental caries and gum problems from ever occurring in the first place. Have any further questions about dental caries? Call Westermeier Martin Dental Care to schedule an appointment with your dentist 716-508-4547!